Tonight we start the Parish Mission for Lent! It will be held at 6:30pm at the Ackerman Center at Saint Benedict Parish for three nights. Here are some frequently asked questions we have been getting. Yes a simple dinner is included. Come at 6:30pm to the lower level of the Ackerman Center and we'll have a meal together before starting the program at 7:00pm. 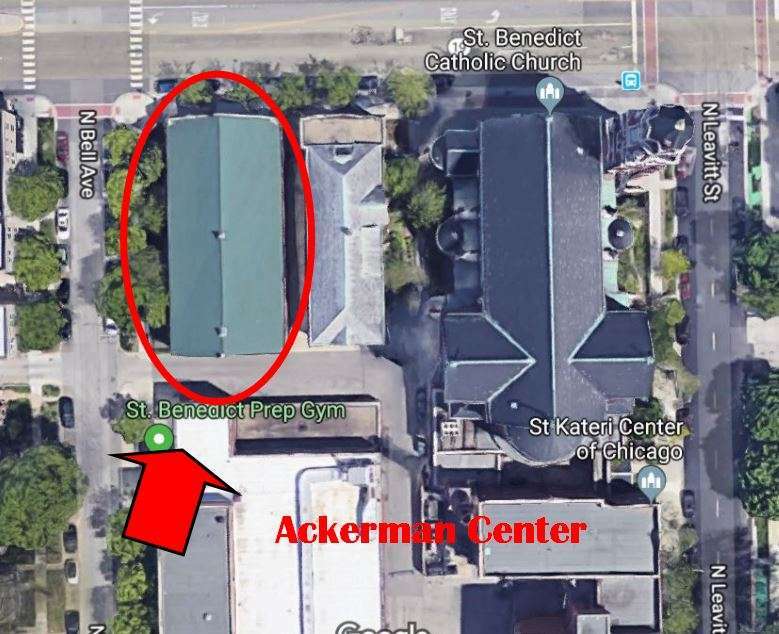 Where is the Ackerman Center? It is just to the east of the main church and the rectory at Saint Benedict Parish, which is at 2215 W. Irving Park. Rd. We've put a map below and circled the building where the Mission will take place. Parking is on the street or in the parking lot in the middle of the Saint Benedict Campus. We can't wait to see you there! Come one, two, or all three nights. Its a great way to grow in faith during your Lenten journey!